Ikea is pitching its designers to media outlets to target young, urban consumers around the globe for the launch of its latest design collection. NEW YORK: Ikea is pitching its designers to media outlets to target young, urban consumers around the globe for the launch of its latest design collection. The Ikea PS 2014 collection, which will be available in April, was inspired by the results of a global YouGov survey commissioned by the retailer that involved more than 7,500 participants between 18 and 60 years old across Sweden, the UK, France, the US, Poland, Japan, China, and Qatar. Nearly 60% of people between 18 and 29 years old who live in an American city said they desire to move within the next two years, according to the survey. Marty Marston, product PR manager for IKEA US, said the company also learned that more "young or young-minded" people are moving to cities, which often means they are living in smaller spaces. With that in mind, Ikea designed the product line to be easily moved, flexible, and have multiple uses, she said. To engage consumers worldwide, Ikea used the same embargo time globally for the first time in its history to launch the line in 44 countries. Martson said the brand "started to realize the power we had in our collective voice and in our voice being heard as one." 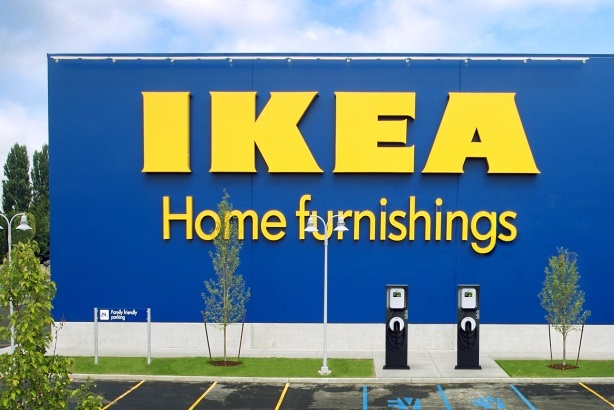 Press events were held on Thursday in the US, France, Japan, Sweden, China, Israel, Poland, and the UK, with the company giving media outlets the chance to interview Ikea executives. Other countries are supporting the campaign in different ways, but on a smaller scale. In Brooklyn, NY, Janice Simonsen, one of Ikea’s US design experts, is talking to various media outlets about the collection, said Marston, as is Peter Klinkert, head of special collections for Ikea of Sweden. Ketchum, Ikea’s PR agency partner in the US for consumer outreach, has engaged media outlets that will attract younger audiences for the effort, including Glamour, Seventeen, Cosmopolitan, and Refinery29.com. The agency has also reached out to design and shelter publications. In addition to the press events, Ikea’s internal Swedish production team traveled to the eight countries to film videos for the launch. Teaser videos, as well as longer spots, were posted on YouTube on Thursday. The Ikea US video was filmed in San Francisco, said Marston. On the social media side, Ikea USA has created a Pinterest page for the collection, and the brand will tweet and post information on its Facebook page. Budget information for the effort was not disclosed.